So, it’s been a while hasn’t it? 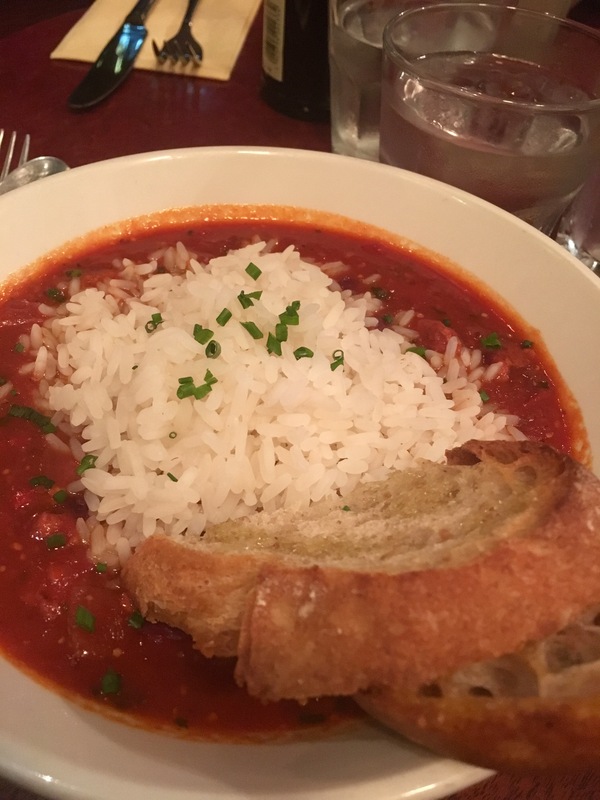 Han Eats has been severely lacking in the blog department after a strong start. 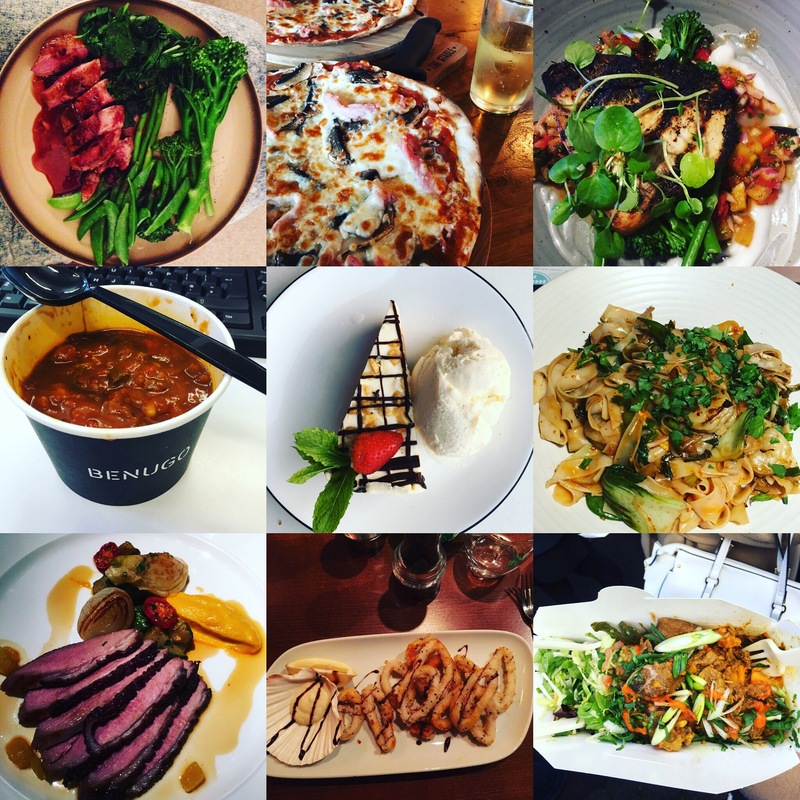 Despite having an extensive back catalogue of nearly every meal eaten in my Instagram era, I’m still not in the habit of considering each meal as a review. Sometimes I go with full intentions of writing about somewhere I’ve been intrigued about / looking forward to; sometimes it’s so good it just deserves it and yet sometimes I’ve gone with all good intentions but then woops, forgot, and the photos are sadly left going stale. Moving to the Jewellery Quarter in Birmingham was definitely a top 2016 highlight. Of course, I got straight to work on that list of Birmingham foodie gems I’d yearned to discover. 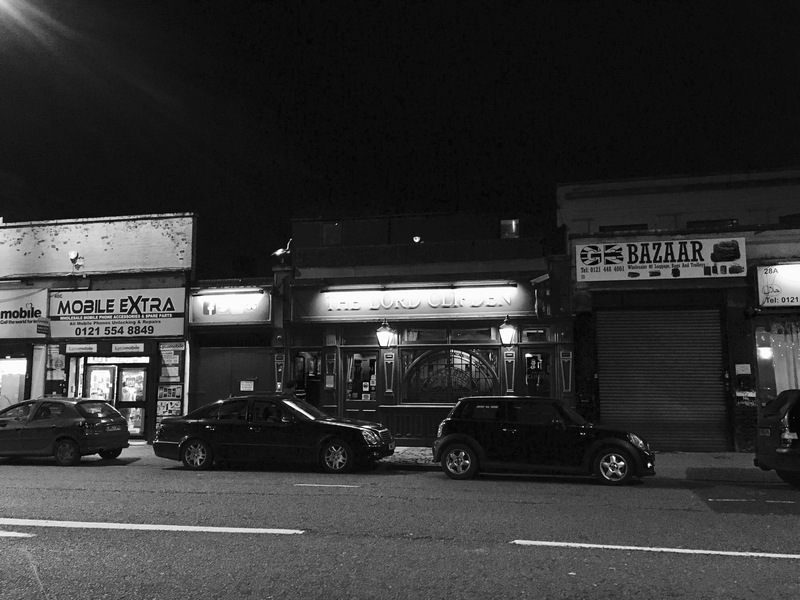 For the first meal out in the JQ (post-move in Dominos… 🙄) we headed to the famed Lord Clifden pub – dangerously close to our new place. Possibly one of the most unassuming, unrecognisable pubs in the city, nestled in between electrical and mobile phone shops selling all sorts of God knows what (you know the sort), inside is a discoverer’s cove of pure pub cosiness, with external terrace for glorious nights both in winter and summer. Being a Sunday, roasts were definitely in order. R was instantly sold when he discovered his fave item in the Sunday roast hierarchy, le roast beef, on a bap with lashings of horseradish and chips. 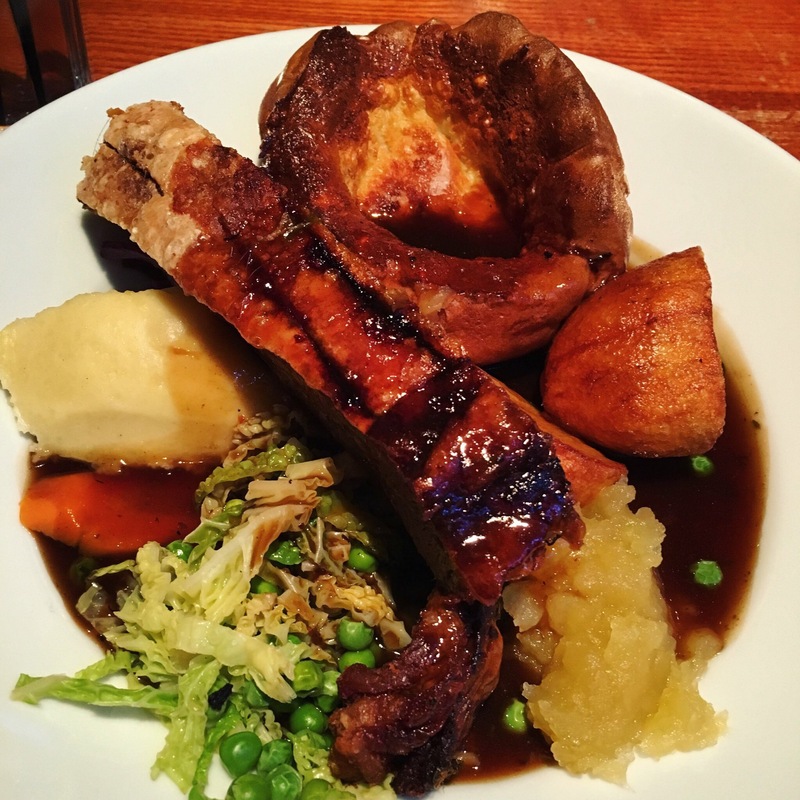 Not usually a fan of restaurant cooked roasts, I was equally sold on what I have since termed ‘the best roast dinner not cooked by Dad.’ Pork belly wins, with actual crunchy veg, red cabbage and a huge homemade yorkie coming close joint seconds. 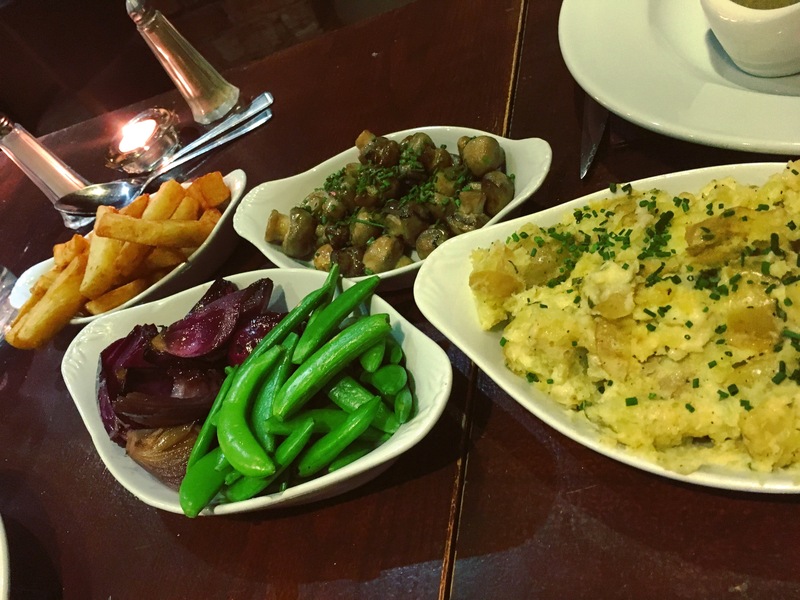 The trick now is to try at least one alternative roast elsewhere in the city before satisfying ourselves again at The Lord Clifden. 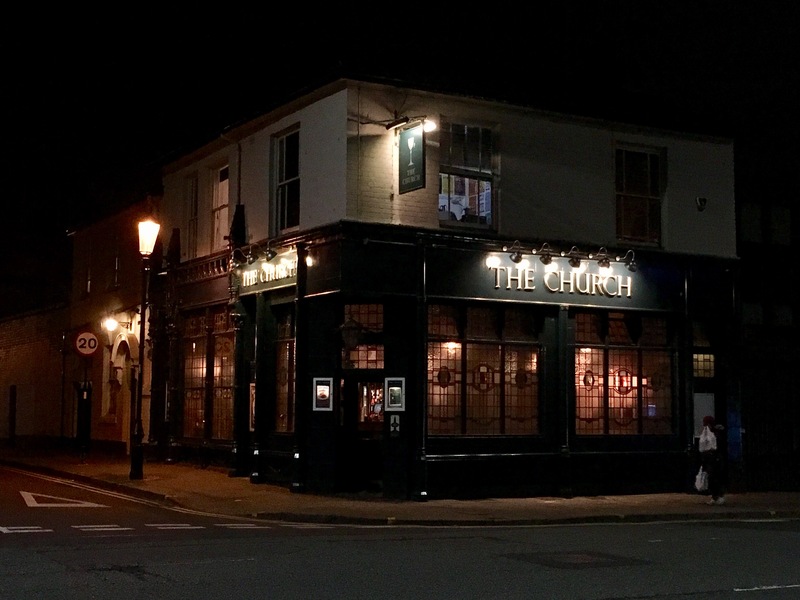 The second pub obscenely close to us is another biggie on the Birmingham independent pub scene, The Church. 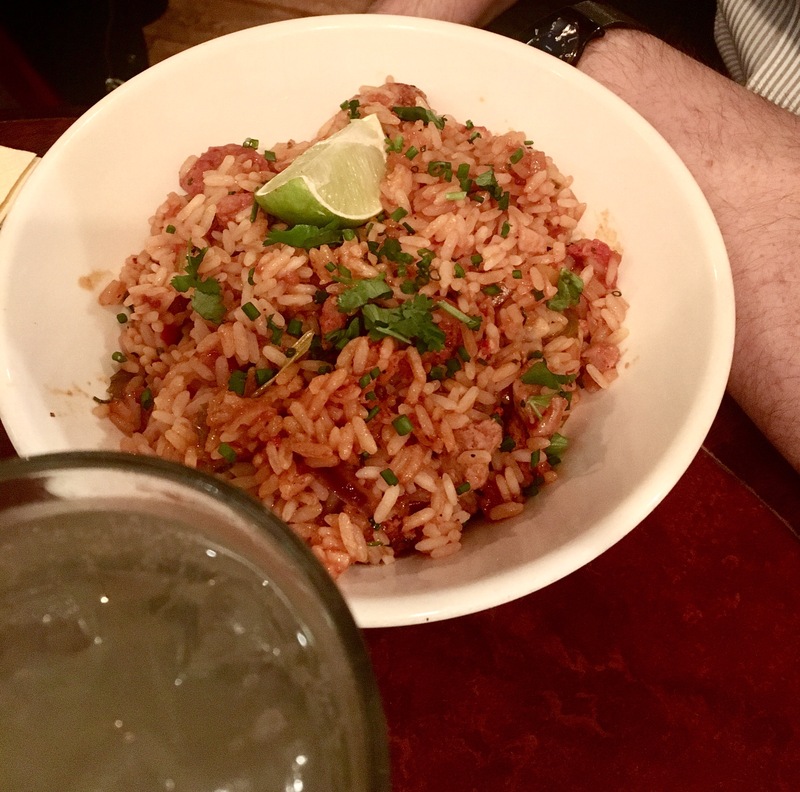 I’ve visited here once before on a Christmas party do and remember enjoying the alternative festive fare on the menu (jambalaya for Christmas dinner – yes please). This was the second meal out and continued the winning streak in the JQ. 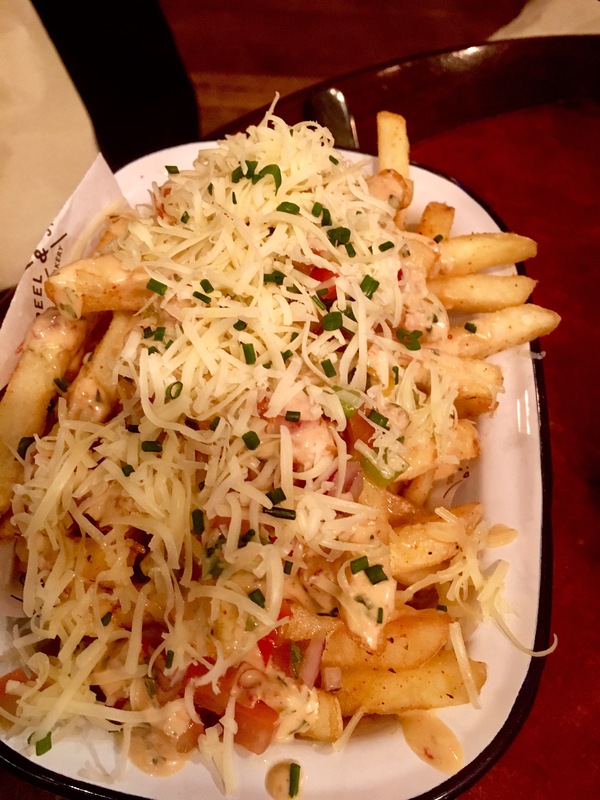 Jambalaya, gumbo and pork & bean stew warmed our cockles on a cold night, alongside a tasty and moreish lump of cheesy cajun fries, topped with chopped salsa and cheese. 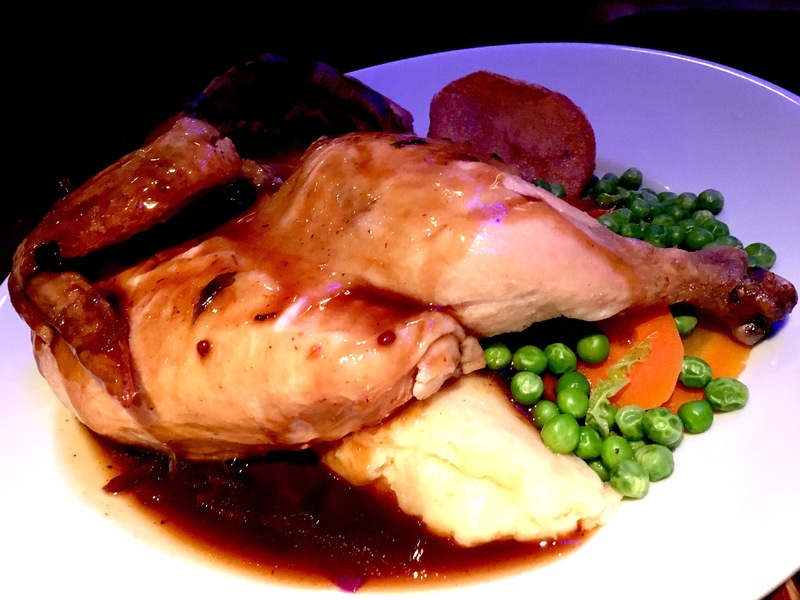 A happy, warm and extremely hearty evening well spent in this friendly boozer, with stand-out food you’ll be pushed to find elsewhere in the city, as well as an extremely boozy but fun NYE. Heard they do good bread down the road too. For our first brunch, I had decided on Saints Kitchen in St. Paul’s Square, before Instagram swiftly informed me they were closed for the holidays – sad face. We ended up at Yorks on Stephenson Street which actually fit our separate day plans better, given its proximity to New Street/town. 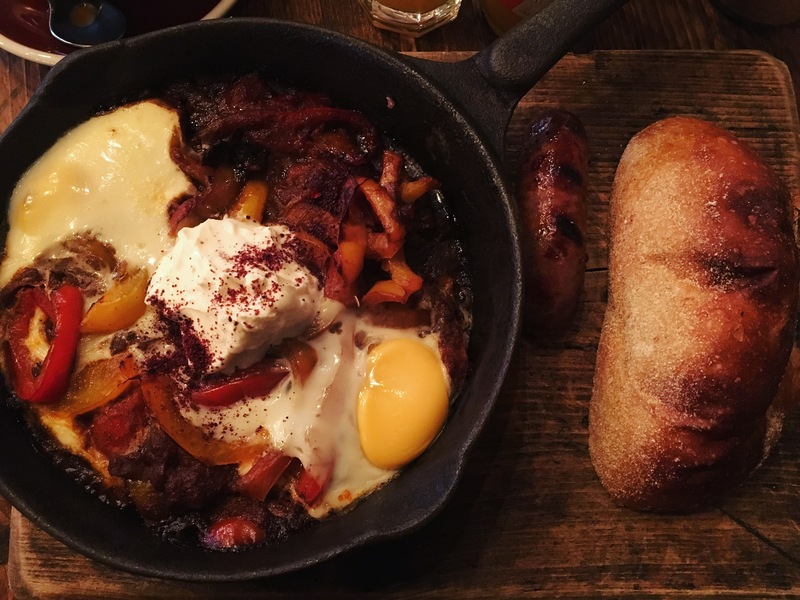 Now, not wanting to fall in to my smoked salmon / avocado brunch trap (of which I’m actually quite partial to my own with controlled chilli/seasoning etc), I opted for the Middle Eastern Shakshuka dish (+sausage). A version of the popular baked eggs dish, cooked with spices and herbs like cumin, caraway, cayenne and topped with yoghurt, this was a dish full of hope of big dippy eggs ready to be pierced with the huge chunk of sourdough bread it was served with. 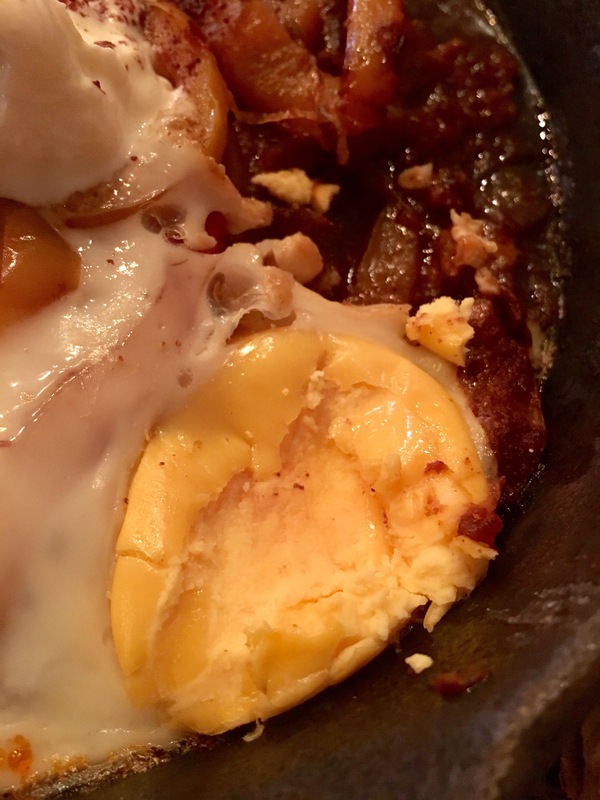 Unfortunately, and as proven by the photo, these eggs were well and truly baked – hard boiled yolk and overcooked whites. Sadly this did ruin the dish a little bit and did leave it lacking that little extra oomph. Can’t help thinking something extra like chorizo (or runny yolk 😒) would leave this dish less samey after a few mouthfuls. 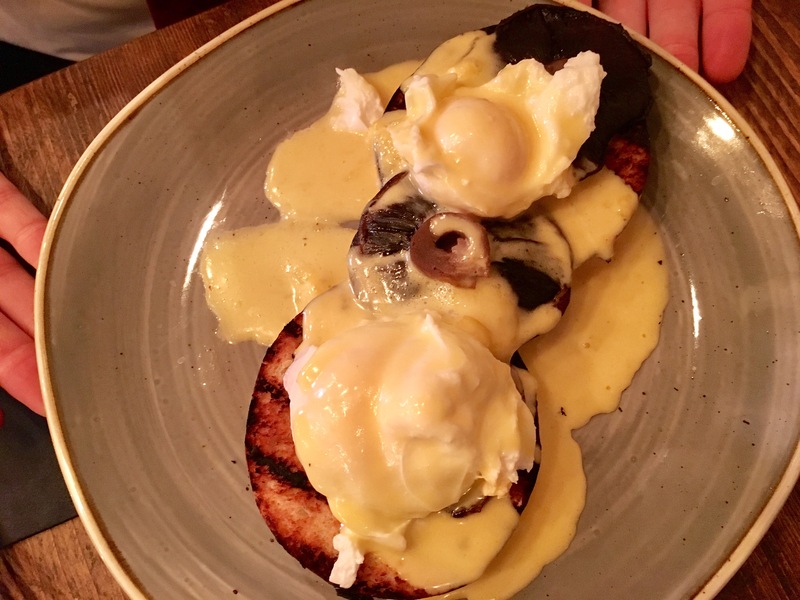 Inevitably I then had slight envy of R’s Eggs Portobello, with a light and buttery hollandaise sauce which worked so well with the juicy, nutty mushrooms and (annoyingly), perfectly cooked poached eggs. Don’t worry though York’s, I’ll be back to try more brunches and of course, that Brum roasted cwaffee. You’ll also catch them soon in their new home at the IKON gallery cafe. I did mention the Rose Villa Tavern at the beginning of this third item. However there won’t be many words and certainly not any photos. What hoped to be the brunch of all brunches to cure the New Year’s Day hangover turned out to be one of the worst. 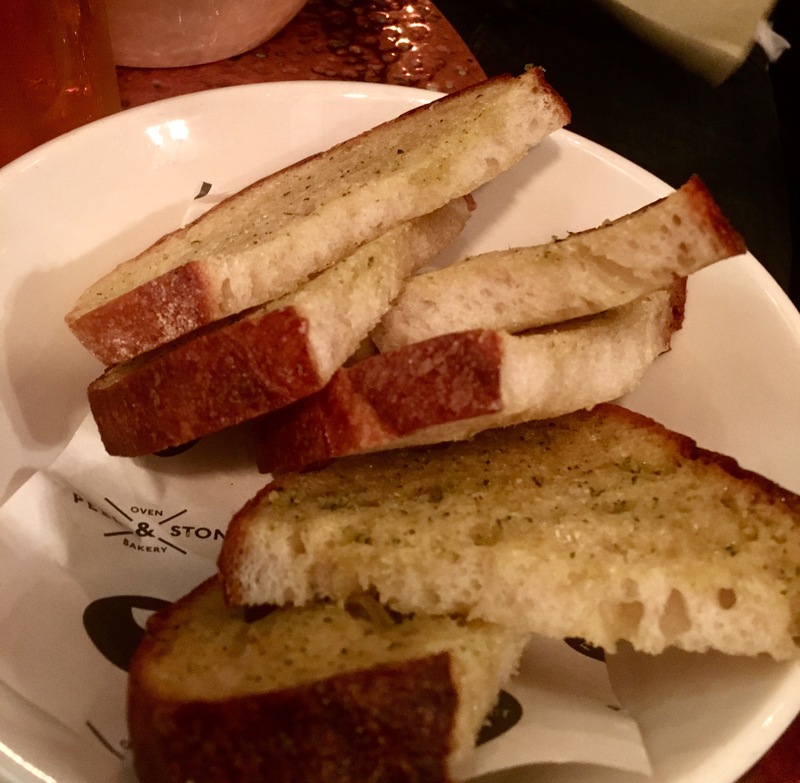 An unconventional menu (fine) and new things to try, but small portions and basic but watery dippy eggs that I found pretty inedible, it wasn’t impressive or indeed satisfying. The inevitable NYE staff exhaustion aside, I wouldn’t rush back, not for brunch, there’s too many other more satisfying options around. A couple quiet drinks with the partner or a small group, yes (the cocktails are pretty good). But I’ll leave it at that. 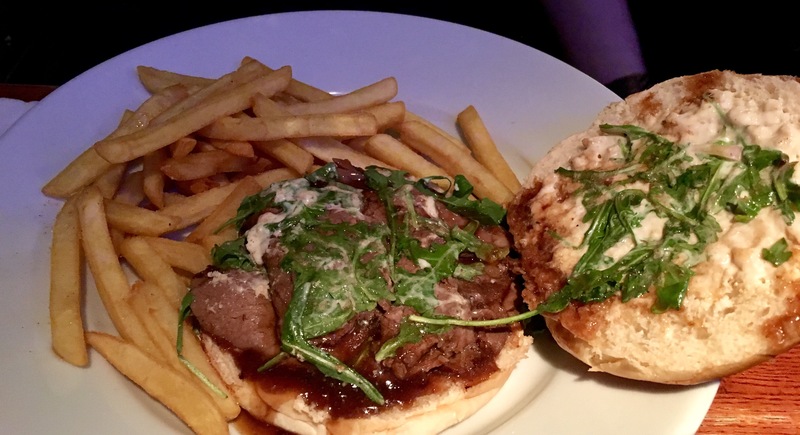 A final quick mention here must go to the magnificent Anderson’s Bar and Grill. A recent second visit since residing in the JQ has proved it is still a top notch steak restaurant, with even a meer 6oz fillet trumping many others I’ve had, in delightfully cosy surroundings. Yet to be crowned Han Eats’ “Best in Brum” (further experimentation necessary), but current top of the leaderboard. Stay tuned for further expeditions….